In a bowl, add onions, green chilies, red chili powder, turmeric powder, salt and mix. Keep aside for 10 minutes. After 10 minutes, add cilantro leaves and mix again. Add eggs and whisk all the ingredients thoroughly. Coat a small frying pan with 2 tsp oil and add the egg mixture. Cover the pan with a lid and let the omlette cook on a medium flame for about 5 minutes. 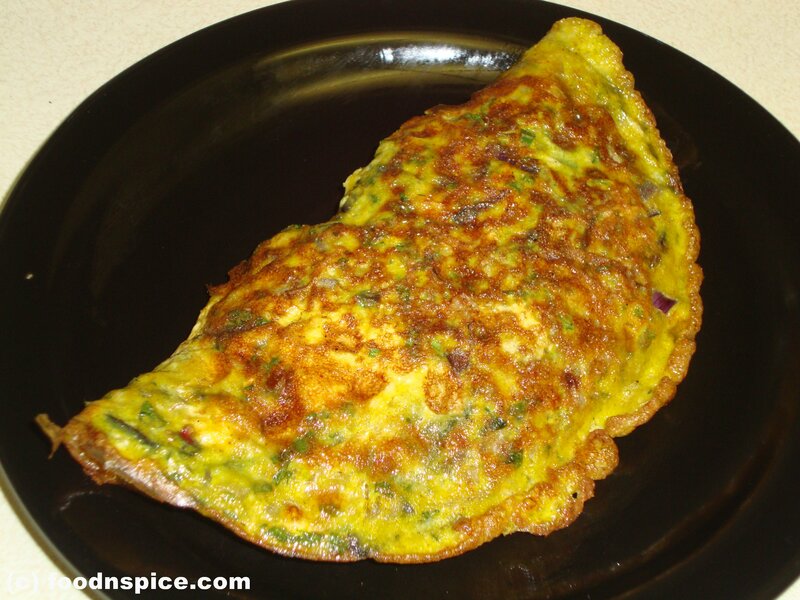 Flip the omlette and cook for another 5 minutes or till it is crispy around the sides. Serve hot with ketchup or bread slices.